They say that planning a wedding is stressful, and it is. Unless you’re used to organizing events for hundreds of people, no bride (or groom) is prepared to plan a wedding. If you’re trying to save money, it gets even harder. Fortunately there are plenty of us current brides in the midst of our own planning who are happy to share what we’ve learned throughout this process. These tips apply to those who are throwing a backyard bash or those having a 200 black-tie affair. Whatever your budget, you can find ways to save. My fiance and I decided early on what was important to us (food, music, venue) and what wasn’t (an expensive dress, lots of decorations). If your resources are limited, then you have to prioritize. Luckily for us, most of what we wanted aligned. But if you want a $2,000 dress and your fiance doesn’t want to spend more than $5,000 on the entire wedding, then you need to figure out a compromise. I’ve heard of people whose aunt’s best friend’s step-mother owns a beautiful 12-acre wildflower garden that she’ll let you use for your wedding. And while most of us probably don’t have access to beautiful and large venues, your circle of friends might have more resources than you think. A friend of ours offered to take engagement photos and do our invites as her wedding present. One of our officiants is my fiance’s uncle and the other is a close friend. Even if you don’t have people in your life who can help save you a buck, they might have references for affordable vendors or offer to help setting up. I’ve known other friends who have done day-of-coordinating as part of their wedding present (if you go with this option, make sure it’s your most responsible friend that does this). I’m glad our friend offered to create custom invites for us. When I looked at the prices of wedding invitations, my heart nearly skipped a beat. Keep in mind that if you’re sending out save the dates, invitations, thank you cards, the cost adds up fast. Stamps are 49 cents now and even a modest wedding can cost you hundreds of dollars in printed materials. To save, we sent out electronic save the dates through MailChimp. Using an online service allowed me to see who didn’t open their email so I could contact them personally. We’re also doing RSVPs through our wedding website, so we don’t have to print and pay for postage on RSVP cards. If your guests are tech-savvy, this is an easy way to save. Due to living alone before getting engaged, my fiance and I already have most of what we need. So instead of signing up for lots of kitchen goods and bath wares on our registry, we created a honeymoon registry. We love to travel together and figured asking people to help fund our honeymoon was more “us” than asking them for a Le Creuset pan. We did set up a small traditional registry in case some people preferred to give physical gifts. If you are worried you can’t afford a honeymoon, try doing a honeymoon registry and making sure that people know that’s what you really want. Since we’re getting married in late April, I assumed we wouldn’t qualify for any off-peak prices. But many wedding vendors consider June-August to be their high peak times and we saved hundreds by having our spring date. If you book a less popular time, then you’re more likely to have the vendors you want be available for your date. We booked many of our vendors early, before they released their new 2015 prices. Since we were sure of which ones we wanted, we didn’t mind making deposits early. Some will only let you hold the cheaper price with a deposit, so be prepared to pay up if you want to save. One vendor raised her prices by almost double, so I was glad I had already signed that contract! Some venues even charge $1,000 the next year. Once you make up your mind, send that check. When I was looking at venues, I only asked them how much the rental fee was. The first place we looked at allowed you to hire any caterer and bartender you wanted, so we were free to buy booze from Costco and use a friend with a liquor license. But then we switched venues to one with a list of approved caterers (none of whom we liked) and who required the caterer to serve the alcohol. I hadn’t factored that difference into the decision and was shocked when I found out how much their approved caterers cost. Luckily it still fit into our budget, but it was still a nasty shock. An easy way to save money is to do your own flowers. Costco can be a great resource for buying large quantities of flowers and even Whole Foods can sometimes make your centerpieces for about half the cost of what normal florists charge. If you can buy your own alcohol, use Costco. They’ll take back anything that you don’t use. 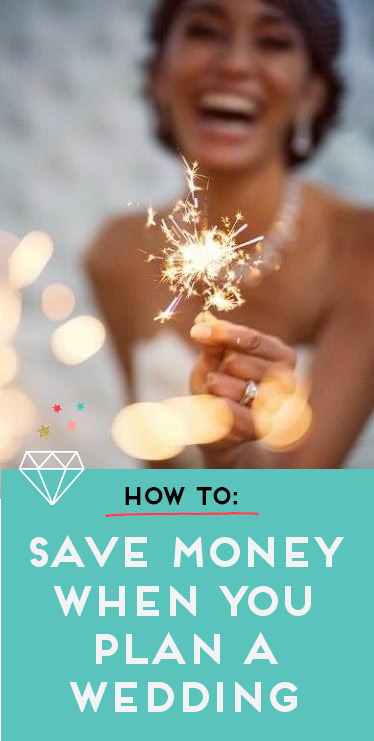 One of the top tips you’ll see for saving money on weddings is to DIY your decorations. Unless you DIY things normally, I would advise against this. Getting supplies can be expensive and if you don’t know what you’re doing, you might spend more money fixing your mistakes. If you decide to make your own decorations, choose simple ones or scour Craigslist for ones from past weddings. It’s easy to get overwhelmed when you’re wedding planning. When you set up your budget, make sure to allocate more money than you think you’ll need. Things will always come up that you don’t think of and it’s better to overprepare than be surprised that your budget has been ripped apart. Do lots of research of average prices, ask friends for their budgets and make sure to be realistic, not optimistic. All of this! I bought my wedding dress used, printed my own wedding stationary, and had an afternoon wedding instead of an evening wedding to save money. It really added up! I bet the time change really made a difference! There’s a reason why Saturday evenings are the most popular wedding time. And a used dress is such an easy way to save money. These are great tips! One thing I always tell brides is that Friday weddings can save A LOT of money! And wedding guests usually don’t mind taking off for a wedding…plus, if they are traveling, it gives an extra day (Sunday) to get back home and relax/unpack. Very true! Friday weddings aren’t bad at all, and three-day weekends are always nice to have. I think Friday weddings can be tough for out of towners, but it does give guests an extra day at home to recover. I definitely prefer a Friday wedding to a Sunday one. I always find that honeymoon registry such a controversial one still. There are some that just give the couple the cash and they don’t spend it on the activity you paid for or I’ve heard they get 10% or whatever percentage of the gift you give, so the couple doesn’t get all the money. I still prefer to give either a gift or cash. I think gift giving surrounding weddings can be difficult to navigate. I had been thinking of asking guests to make donations to a charity instead of giving me something, but it’s good to offer the traditional alternative of a registry just in case. I was also worried that people would see it as a cash grab so we made ours very specific. It includes things that we plan to do, like stay at AirBnb instead of a hotel, and includes realistic costs for those items. I think that most couples who do this also keep track of who gave what so their thank you card can let them know how their gift made their trip better. Ours has a small fee that goes on top of the gift amount. We get all the cash, but plan to spend it all on our honeymoon. I think it’s a great compromise between people who don’t want a lot of stuff to register for, but also want their gifts to have an idea of what they’re giving them. I guess I don’t understand what the problem is if they spend it on something else they want instead of a honeymoon. Maybe their priorities changed. Maybe they received more money than what the honeymoon cost. When I give people a gift, I don’t expect them to account for how or even if they used it. I just want them to get something they like and enjoy. If someone doesn’t have the same intention when giving me a gift, then I would rather them not give something to me. Any other intention when giving a gift is rude and gauche, in my opinion. – having a Saturday morning wedding/afternoon reception at a bowling alley! We had a traditional registry but lots of friends/family still gave cash. I was uncomfortable with the idea of a money registry (honeymoon or otherwise). Having the reception at a bowling alley sounds like fun! A small guest list is so important! That’s why I always say setting a guest list should be the first thing you do – it affects everything else. A bowling alley wedding sounds like one I’d love to go to. OMG invitations are so expensive,…… why are they so expensive???? These are definitely some great tips! They really are, and postage adds to that! I couldn’t believe how much they cost. I’d looked at some beautiful ones online and couldn’t imagine spending $1,000 on something that ends up in the trash. Definitely. You can spend $10 per one invitation or just 10 cents. But I prefer to do handwrite invitations these cost only your time, paper and idea. Yeah it’s definitely harder if there aren’t people you can trust with some wedding-related tasks. But keeping a small guest list is the one of the best ways to save on a wedding. Great advice on the invitations. People just throw it away after the wedding so why spend so much on it. 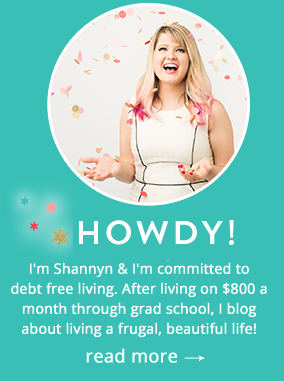 I started reading your blog 1+ yr ago and loved it! I am so glad I found you again….you have nooooo idea. I just started planning our wedding and we have the same ideas, love the wedding posts (budgeting, bridesmaid, wedding registry or not etc). I love your blog and you are doing such a great job. It feels very authentic when I read it like I know you…..great connection. Have a great day!! Thank you so much, that means a lot! I’m glad you found my blog again, too! At first I was looking at Minted for the Save the Dates but it ended up being around $115 dollars before tax and shipping. I then switched to Vistaprint and got 70 save the dates for around $35. I believe postage will cost about $35 so about $70 total. I didnt’ even think to do electronic save the dates though. Too late now but great idea.